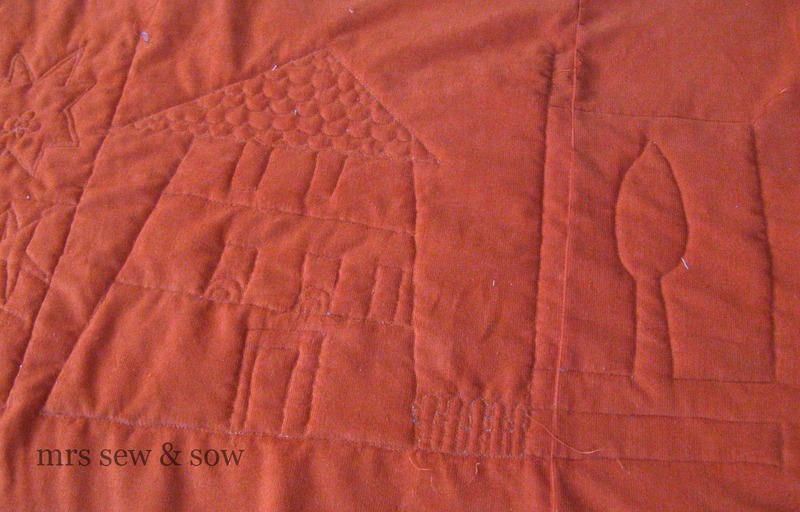 Yes I have pushed the wonky quilt one step beyond what we saw last time! 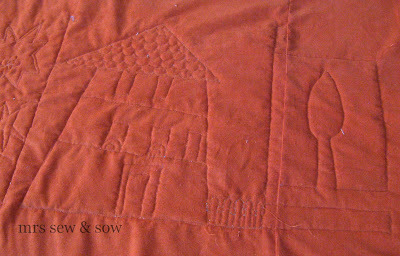 Believe me, I was nervous of quilting this I have to say and was not going to attempt the quilt as one whole thing so I have opted for quilting a row at a time and will piece them together after quilting some detail in these houses full of fun. The reason I wanted something a bit tough on the back was that I am hoping we will have a summer this year - either that or I'll be taking the nightboat to Cairo I think - and that this could be a rug for outside if not a picnic rug! I know my girl Clarissa would love to lie around with friends chatting in the garden....maybe fending a greedy pup away from a pile of food! Must say I am really enjoying this - it must be love! Ok, how many did you find (wink)? I have to tell you, I love the house on the hill! It reminds me of San Francisco! Looking forward to seeing the completed quilt! The weather was teasing us yesterday so maybe you will get chance to have that picnic. Better let the ground dry up a bit first though. It is going to be the most magnificent picnic quilt. Looks great. 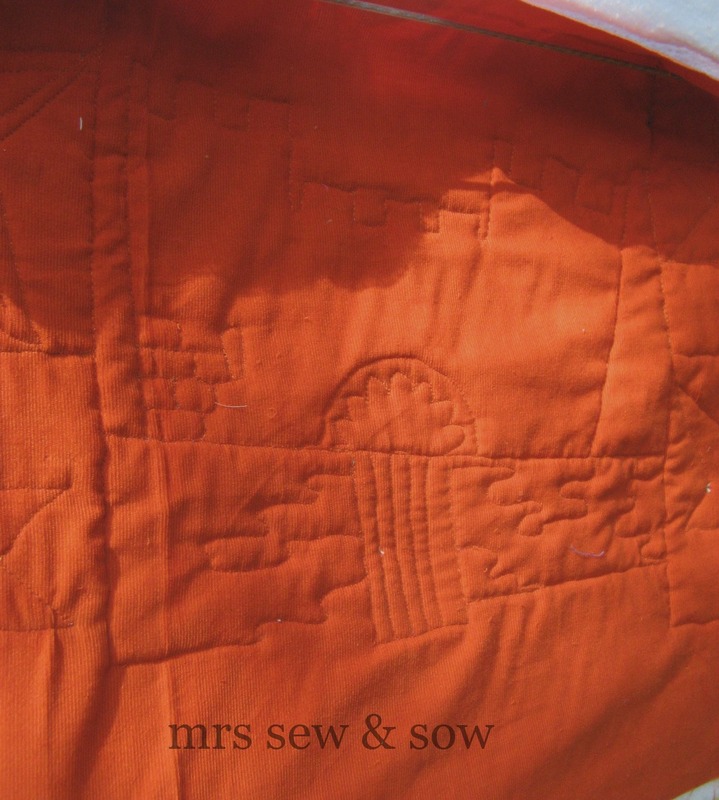 Your quilting is always inspired. And if summer doesn't come then I am on that boat to Cairo with you. It is indeed looking great - I bet you can't wait for the cord to arrive! It looks wonderful and the cord back is a great idea!